Sensor mat, transmitter and pager to alert carer when someone has left chair, helping prevent falls and wandering. Can connect to multiple chairs, ideal for use in care homes. 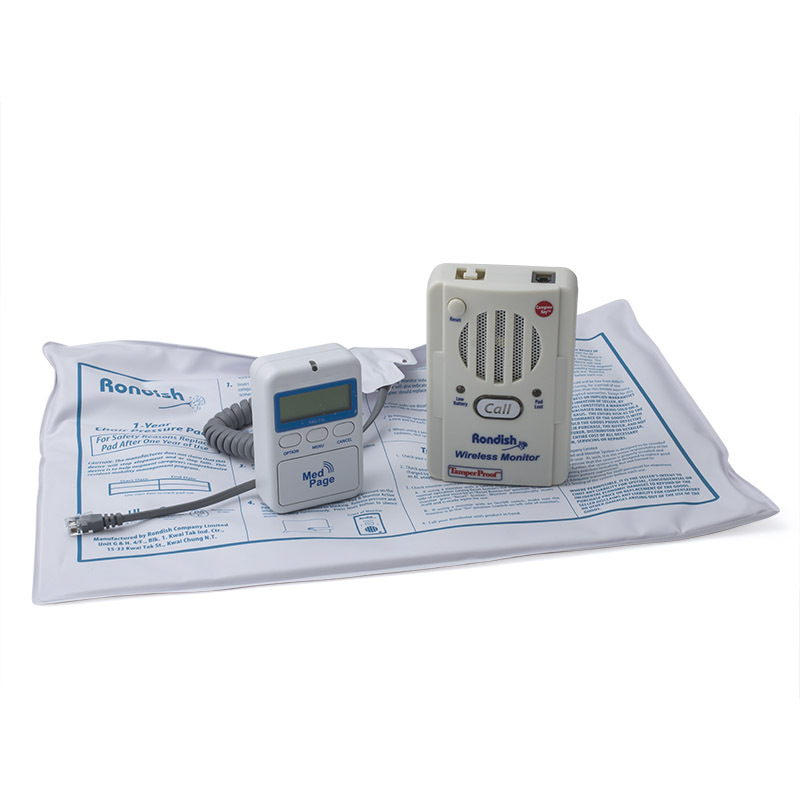 Providing you with an easier way to monitor patients when they are sitting in a chair, the Rondish Rise Chair Alarm Kit helps to prevent falls and wandering, giving you peace of mind. Including everything that you need to get started, this helpful kit allows you to stay on top of patients without having to constantly watch them. 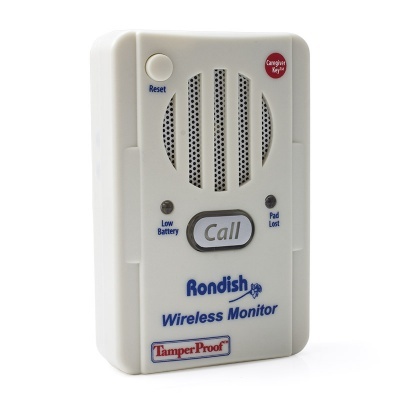 How Does the Rondish Rise Alarm Kit Work? The kit consists of everything you need to monitor when a patient gets out of chair. You simply place the sensor mat under chair cushion. When the patient sits down, the wireless transmitter acknowledges detection with two beeps. 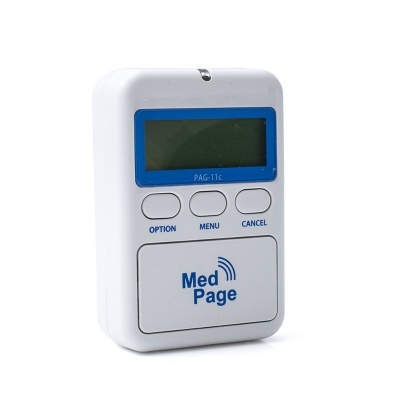 When the patient leaves chair, an alarm signal is sent from the transmitter to the pager receiver, which can be attached to the carer's person using the provided belt clip to ensure they'll never miss an alert. The carer will be signalled with sound or vibration, making it suitable for both the hearing and visually impaired. It also features a flashing LED light and will display which transmitter number is signalling. That way, if if you are monitoring multiple chairs, you will know exactly which mat is being triggered so that you can quickly respond to the correct patient. The kit is already set up to use with the provided sensor mat programmed as 'Number 1', but has the ability to connect with up to 99 mats on each pager. 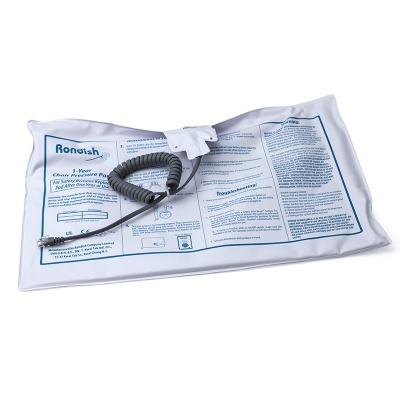 If the chair cushion is very thick, or the patient is of a slight build, it may be necessary to place the sensor mat on top of the cushion (though it can be within the cushion's cover). To ensure that the mat is functioning correctly, sit on the chair and then get up to check that the system is alerting as expected.